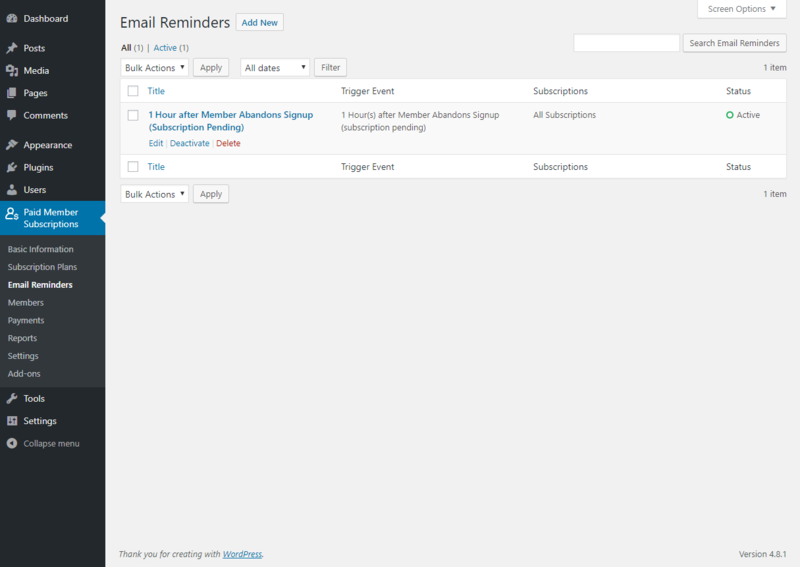 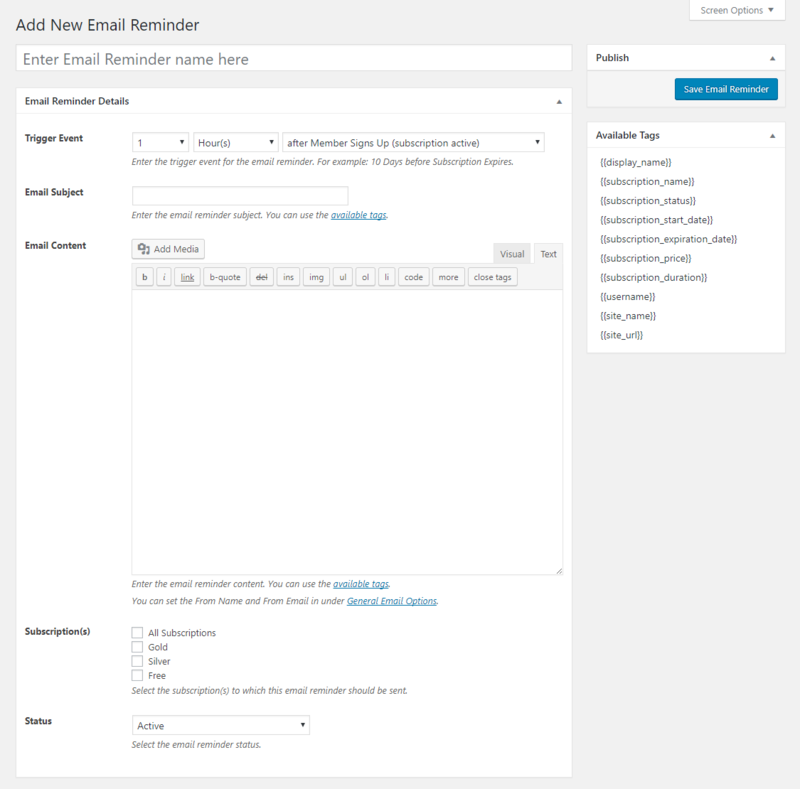 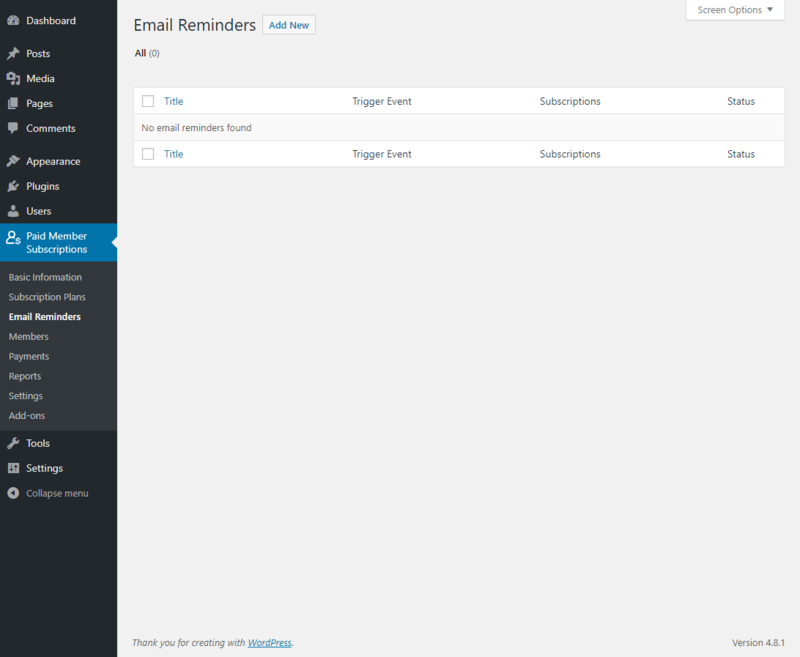 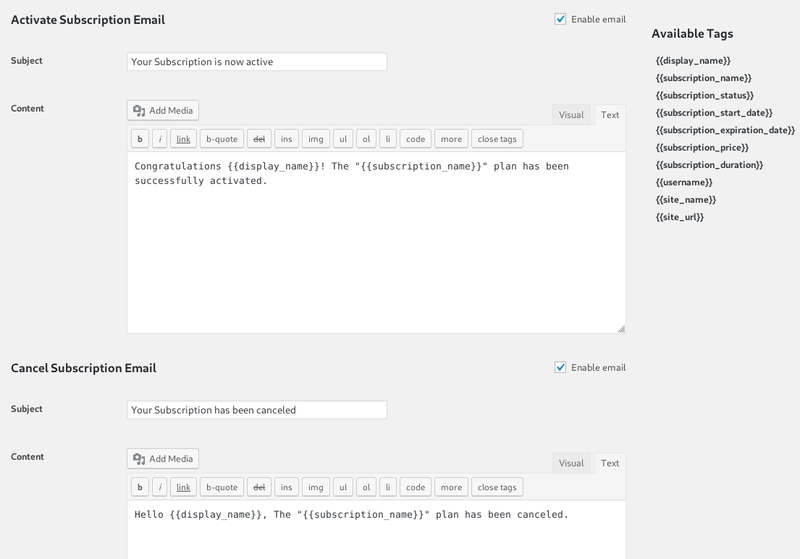 Emails can be configured for the user or admin. 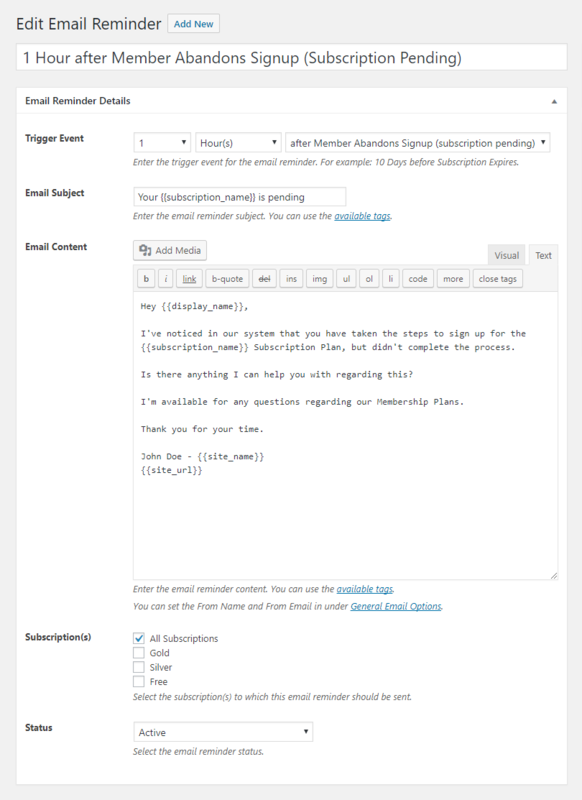 Find out more by reading this documentation for the Paid Member Subscriptions – Email Reminders Add-on. 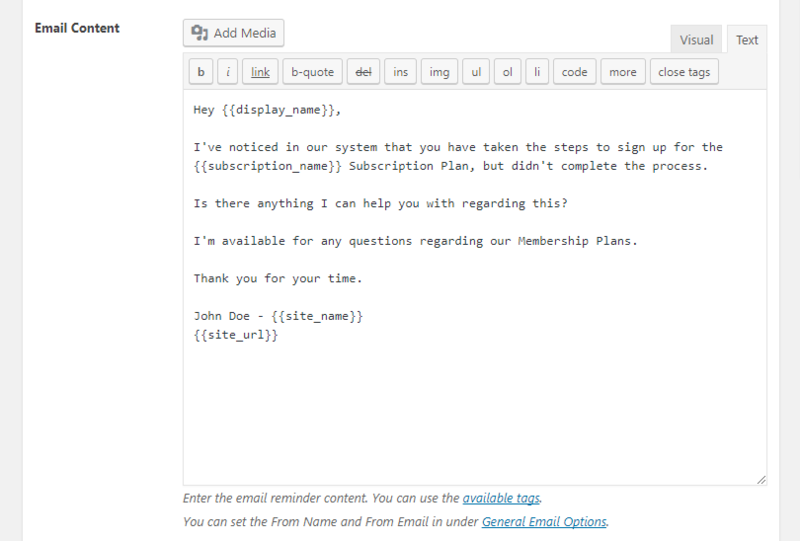 This Paid Member Subscription Add-On is a Basic Add-On and is available only with a valid Hobbyist or Pro License.